Before buying a used car, you want to spend a little time physically inspecting it to see what kind of condition it’s in. By inspecting the vehicle you can tell if the original owner took good care of it, by the way the interior looks. If the seats are clean with no rips and stains, the carpet is clean and the console is in good shape, then you know the previous owner tired to care for the vehicle properly. Most of the time, if someone takes care of the interior of the vehicle they also take care of the engine and provide regular maintenance. However, a physical inspection can’t tell you everything you need to know about the used car. Even taking it out for a test drive may not be enough because some problems don’t present themselves until you have driven the vehicle for a while. For this reason, you need to get a vehicle history report. These reports contain a lot of valuable information that can help you determine if the used car is a good deal or not. What Exactly Is a Vehicle History Report? The vehicle history report is like a background check that provides you with a comprehensive view of the vehicle’s history. These reports are put together using information from various sources such as police reports. They list any accident the vehicle was involved in no matter how small. They will also tell you how many people have owned the vehicle, when they owned it and the odometer reading. 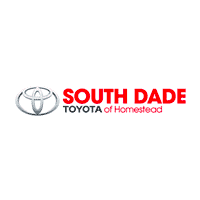 Here at South Dade Toyota, all of our used vehicles come with a free CARFAX report. History reports also include how the owner used the vehicle. Knowing if it was a leased vehicle, a rental car, used as a taxi or for personal use only can give you a lot of insight to the vehicle. However, this information is only valuable if you understand and know how to read the report. If the history report shows a total loss accident history or the vehicle has a salvaged or junk title, then you know that at some point it was written off as a total loss. The vehicle could have been involved in an accident or sustained flood damage. In this case, it’s best to continue searching for a used vehicle with a reputable dealer. You may even want to look at our certified pre-owned vehicles, which have undergone a bumper-to-bumper inspection by a certified technician. If the report shows that the vehicle has sustained structural or frame damage or if it has a history of being a lemon, you know to keep looking. Airbag deployment is another piece of information that indicates the vehicle was involved in an accident that you should be aware of. Vehicle history reports also contain a detailed description of the vehicle. Going over this information will help ensure you’re purchasing the right vehicle and not a stolen one with a cloned VIN number. For example, if the description says the interior is light brown and it’s black or if it says it’s a two door and it has four doors, then something is off. Another great thing about history reports is that you can also learn about any recalls associated with the vehicle. This way, you can find out if the problem has been corrected or if this is something you’ll have to deal with if you buy the vehicle. All of this information will help you make good, informed decision when you buy a used car.